He is best known for his portrayal of Larry David’s manager in the HBO Series “Curb Your Enthusiasm,” but stand up comedian, “Wall-E” voice over star, and “The Goldbergs” star Jeff Garlin is also known for his over-the-top love a certain team from a certain north side of a certain city near Lake Michigan. Garlin loves the Cubs. He comes by his love the way many of us do…”When I was growing up, I played baseball. I was a huge Cub fan. I lived in Morton Grove [Ill.]. I pretended to be Billy Williams when I was batting.” Though he has been in Los Angeles now for 20 years, he still follows the Cubs. Maybe “follows” is not a strong enough description. He puts it a little more emphatically…”I don’t miss a game between Direct TV and XM satellite radio. I listen to or watch every single Cubs game.” He also returns to Chicago every year to sing “Take Me Out to the Ballgame” and is proud that he has performed that more times than any other actor/performer. While he’ll never be signed to a recording deal, Garlin does a respectable job. Be sure of one thing. When the Cubs did the impossible and won the World Series, when the network cameras surveyed the crowd they found one rather heavy set actor dressed in Cubbie blue sporting the biggest smile you’ve ever seen. While he was certainly honored to be named a Cardinal by Pope John Paul II, there must have been a small twinge in the heart of Francis George when the title was bestowed upon him. After all, the Cardinal is a Cub fan, and every Cubs fan knows that being called a Cardinal must be a bittersweet experience at best. Cardinal George grew up on the Northwest Side of Chicago, and has been rooting for the Cubs since he was a young boy. It was one of the first things he told the press when he was named the Archbishop of Chicago in May of 1997. He considered a Cubs victory on the day he was installed a sign that being named the spiritual leader of Chicago’s 2.4 million Roman Catholics was meant to be. Cardinal George was interviewed for the documentary film “We Believe”. The filmmaker, John Scheinfeld, wasn’t surprised to hear the Cardinal talk in general terms about the concept of believing in something with sheer faith, but he got much more than that. He got a Cardinal that has followed this team for sixty years and has given the subject matter a great deal of thought. Francis sees parallels between being a Christian, and being a Cubs fan. Scheinfeld describes the Cardinal’s take on it this way: “Being a Cubs fan is not dissimilar to eschatological faith, which is sort of ‘next year in Jerusalem.’ It’s sort of, ‘Jesus will be coming back at one point. We know it’s going to happen, but we don’t know when. '” Cardinal Francis George is absolutely right about that. “Wait til next year” is something Christians have been saying for way longer than a measly century or so. No wonder the Cardinal was a Cubs fan. He passed away in 2015, the year before the Cubs won it all. Steve Goodman was born on the north side of Chicago. 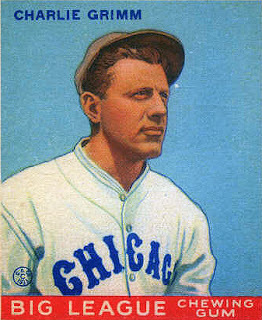 His family later relocated to the northwestern suburbs (Steve attended Maine East in Park Ridge), so it was only natural that Goodman became a Cubs fan. His music career began the same year his beloved Cubs had one of their most memorable seasons, 1969, but his disappointment with the way that season ended was put into perspective by much more dire news he received that summer. He was diagnosed with leukemia. That was something he lived with throughout his music career. He was suffering from leukemia when he wrote “City of New Orleans” for Arlo Guthrie, which became a top 20 hit. And he knew his time left on this earth was limited when he penned a song that has become beloved by Cubs fan everywhere: “A Dying Cub Fan’s Last Request.” He also wrote the song “Go Cubs Go”, which became the Cubs theme song in 1984. He died on September 20th of that year, and went to his grave believing that the Cubs really were going to win the World Series. Greenfield is the author of the book “100 Things Cubs Fans Should Know & Do Before They Die”, but his day job is Community Manager of ChicagoNow–the blog network for the Chicago Tribune. In that role, he oversees several Cubs blogs. He also maintains the Twitter feed @cubsnohitstreak, which keeps track of how many days it’s been since the Cubs were no hit (they hadn’t been since September 9, 1965–by Sandy Koufax). At the end of the 2014 season, that streak stood at 7825 games. The streak ended in July of 2015 when Cole Hammels of the Phillies no hit the Cubs at Wrigley Field. Ricky Guitierez’s hit in the 20-strikeout game. ..